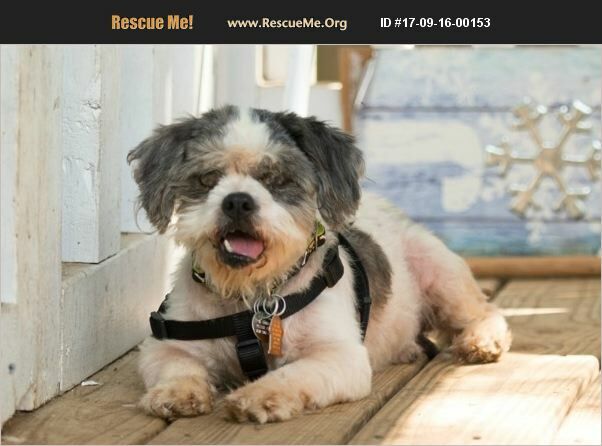 Florida Shih Tzu Rescue View other Shih Tzus for adoption. (Available for adoption within 100 miles of Tallahassee, FL) Emmett came to CSTR from a Louisiana animal shelter. He is approximately 9-10 years old and came to us in pretty rough shape. His eyes were in terrible shape, but after having one chemically enucleated, he is feeling much better. He was also missing a lot of hair due to untreated flea allergies, but now that they have been treated, his hair has come back in beautifully. Emmett is a friendly guy who likes to give kisses. He does not, however, like to be made to do things he does not want to and can be aggressive in those situations. As a result he would not be appropriate for a home with children. He gets along with most dogs as long as they are not dominant. He can be somewhat food aggressive and so is fed separately. As a result, while Emmett would be fine in a home with dogs he would also be fine as the only dog in his adoptive home. He is a bit too interested in cats, so he will not be adopted to a home with cats. A fenced yard will also be required for his adoptive home. Emmett is current on vaccinations, neutered, heartworm negative and on preventative and microchipped. He is housetrained, walks great on a leash and is good in the car. ADOPTION FEE: $200 A copy of the vet records will be provided to adopter at the time of adoption. This dog is fostered in the Tallahassee, FL area and adoption applications will be accepted from individuals living within a 100 mile radius. Visit our website at http://crossroadsrescue.org/adopt/ to view our adoption information and complete our online adoption application.